Return to the Moon - A New Moon Race ?? The Trump Administration has announced plans to return Americans to the Lunar surface by the year 2024, some five years earlier than previously planned. 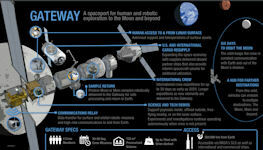 This biggest challenge facing NASA is the development of the lunar lander needed to take astronauts to the surface. Such a vehicle had been under development under the Bush Administration, but had been halted under the Obama Administration. 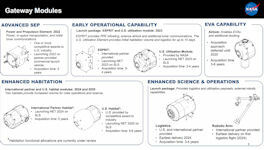 NASA now faces the choice of either reviving the Bush Adminisration Altair Lunar Lander, a large, highly capable system of the sort needed for extensive Lunar operations, or developing something along the lines of the Golden Spike lander, a minimalist vehicle that would meet the immediate political "footsteps and flags" requirements, but might not support much else. China appears to have planned to land Chinese nationals on the Lunar surface soon after the year 2030, which is when the Long March 9 superbooster would become available. 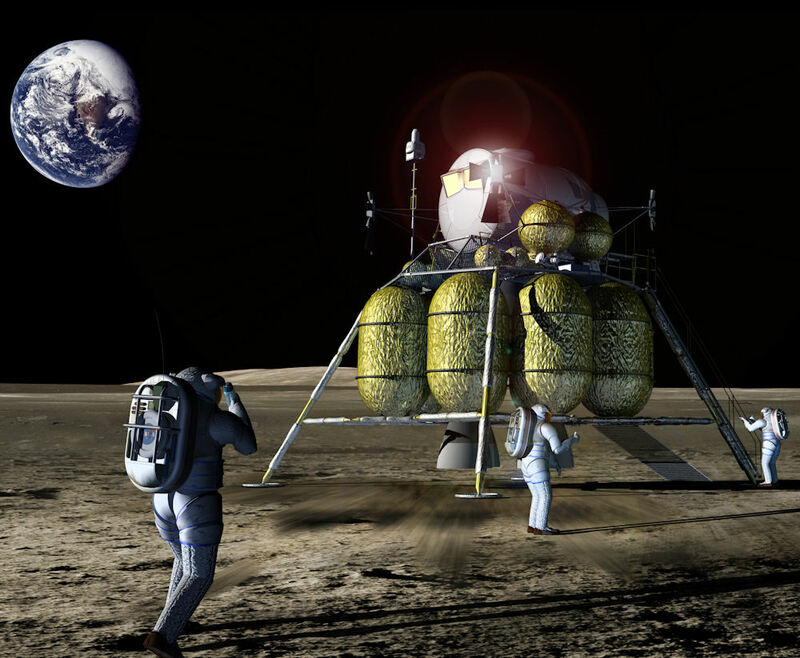 Russia has plans to send cosmonauts to the Lunar surface after 2030, but unlike China, which seems to have a real program, the Russian plans remain no more than un-approved plans. While is it vastly more difficult to put a crew on the Lunar surface, as Apollo 11 did in 1969, sending a crew to the Moon, as Apollo 8 did in 1968, is a rather easier task. 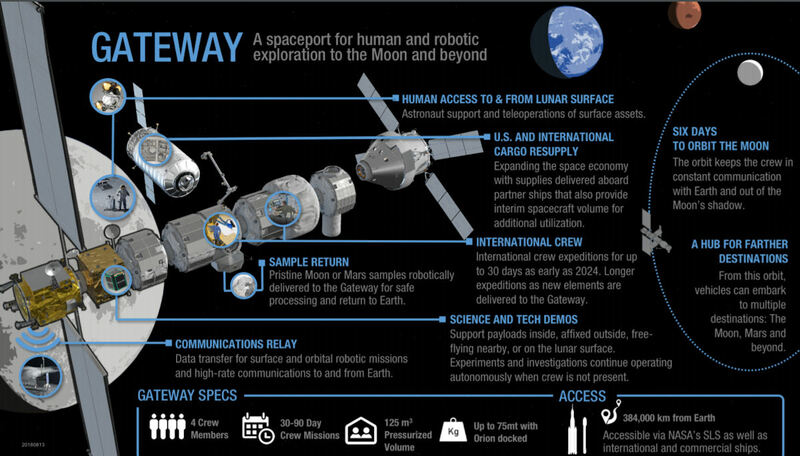 Both China and Russia have hardware options to send their crews to the Moon [without landing] before the Americans can place a crew on the Moon. One or both countries may take this opportunity to embarrass the Americans [attractive to China], or to claim superpower status [attractive to Putin]. Vice President Mike Pence announced on 26 March 2019 that the United States aims to send astronauts back to the Moon in five years, with a woman first in line to set foot on it again. “It is the stated policy of this administration and the United States of America to return American astronauts to the Moon, within the next five years,” Pence said in a speech in Huntsville, Alabama. “Let me be clear, the first woman and the next man on the Moon will both be American astronauts launched by American rockets from American soil,” he said. "Now, make no mistake about it: We’re in a space race today, just as we were in the 1960s, and the stakes are even higher. 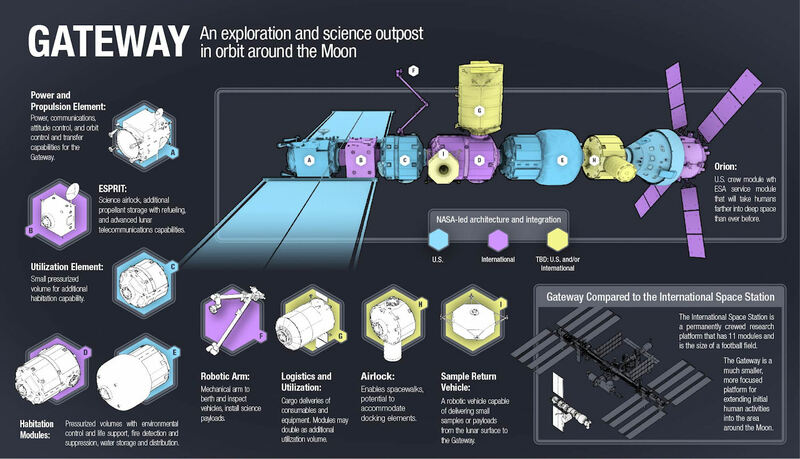 Last December, China became the first nation to land on the far side of the Moon and revealed their ambition to seize the lunar strategic high ground and become the world’s preeminent spacefaring nation. "Failure to achieve our goal to return an American astronaut to the Moon in the next five years is not an option," he continued, adding that commercial rockets and contractors would be used if they were the only way to achieve the five-year goal. 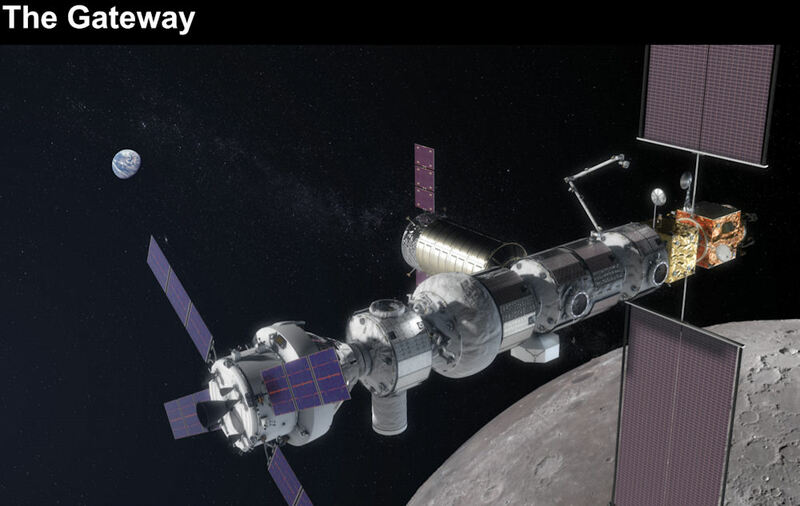 "If NASA is not currently capable of landing American astronauts on the Moon in five years, we need to change the organization, not the mission." 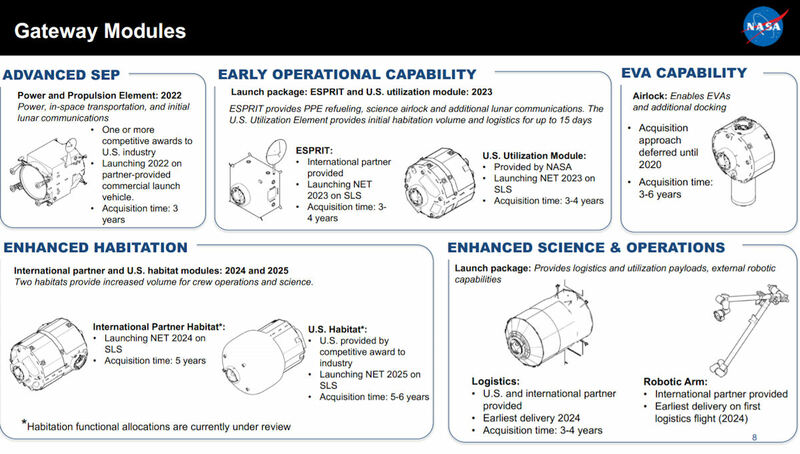 In plain language: "NASA, you've got until 2024 — or you're fired." Some believe that 2024 was chosen because, if Trump wins a second term, a lunar landing would lend him a lasting legacy just before his departure. The event would also be a welcome PR boost for his US Republican party — and right during the boiling point of the 2024 presidential and congressional elections. When US astronauts landed on the moon in July of 1969, for example, it gave then-President Nixon a temporary bump in approval ratings of about four percent. 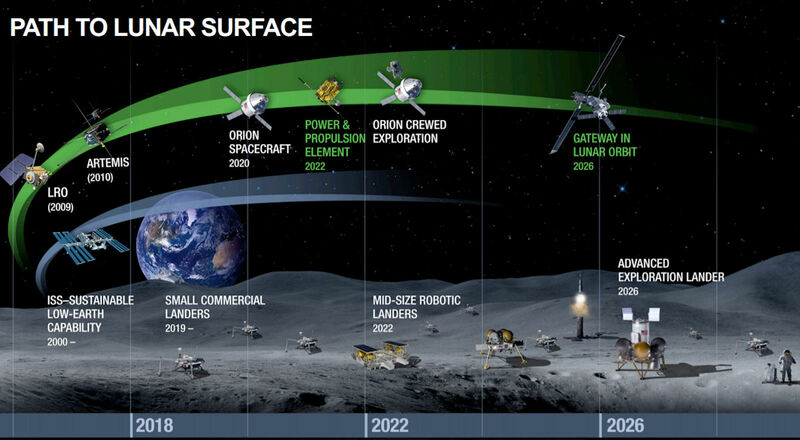 Some saw this as the real reason behind the US' new five-year plan to return human beings to the moon by 2024 instead of 2028 — domestic politics. The goal was not to win a "space race," but an election. If this were a Hollywood movie, it's the kind of twist expected from one of America's autocratic adversaries, not from America itself.